I have been told that this also is a Marx car. 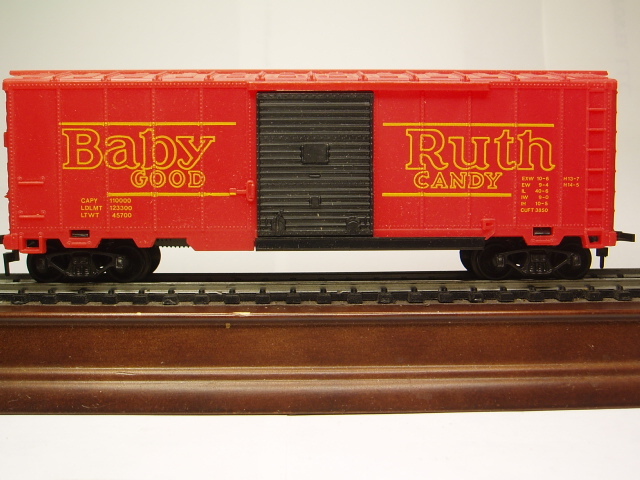 I have my doubts ... Model Power released a Baby Ruth car but the photo I have of it does not look like it is from a Marx mold. This car does ... I think it's a Model Power car. Update: It is a Model Power car. See my listing in non-Marx look-a-likes.